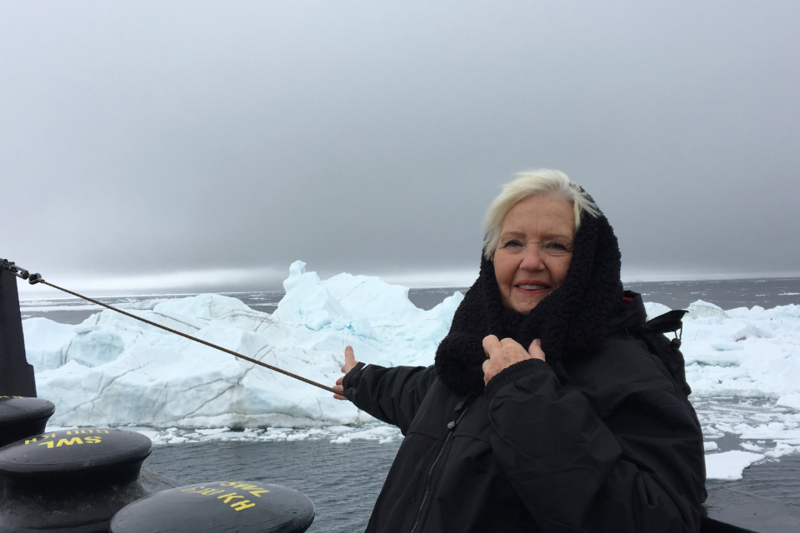 83 year old Elva’s icy south pole adventure is just weeks away thanks to a curious spirit forged in childhood and COTA’s age-friendly travel insurance approach. “When I was a child my mother would push me on a swing and sing to me some words from a poem “The Swing” by Robert Louis Stevenson. ‘Up in the air and over the wall, till I can see so wide’. Little did I know then the impact those words would have on me, and that for the rest of my life I would be always trying to see what was on the other side of the wall. My name is Elva Johnson, I’m an 83 year old mother, grandmother and great-grandmother. Many would think that at my age I would be content staying close to home, but I have other plans in mind. When I was in my 50s I had been travelling for many years as a business traveller, but then something changed my life. I had been unwell and was advised to take a break in my busy life. So I decided to travel. I still longed to look over the garden wall to see more of the world and experience it. Not from a hotel window, but by breaking bread with other travelers in hostels and in off-the-beaten-track locations. So at 59 years of age I embarked on a journey of discovery, forever changing my life and the way I thought about things. I zig-zagged my way across Western Europe, Scandanavia and Canada. I have since travelled through the Americas. Amongst my travels I saw my first glacier carving and I immediately felt the enormity and the power of nature, and something spiritual was ignited in me. I was hooked! This lead to my dream to visit the North Pole, and two years ago I was able to do that. I found the landscape both humbling and awesome – there was nothing there, but there was everything. Now I’m off to the South Pole this December with the goal to be one of the oldest women, and possibly THE OLDEST woman to reach both North and South Poles. So Fingers crossed! I want to show my children and their children that you can have dreams and reach your goals. I would like other older people to realise that they can do this too. I’m not 100% mobile as I have had a knee replacement and cannot do all the ‘touristy’ things anymore, but I don’t let that stop me from heading off to see the world. I am a great believer in travel insurance, but at 83 I was finding it more and more difficult to get a company to insure me. Reality hit when I realised if I couldn’t get travel insurance to support my South Pole dream, I just couldn’t go. Then a friend mentioned COTA Travel Insurance. 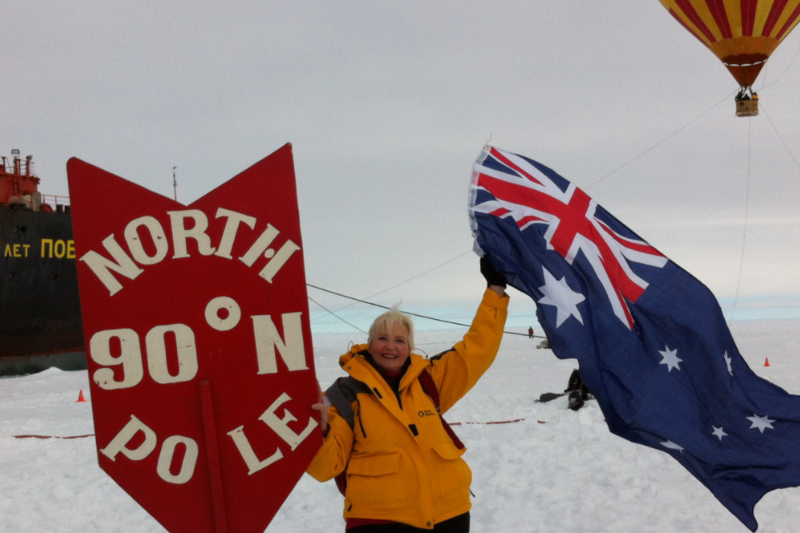 What a lucky day that turned out to be for me, as COTA Insurance has helped me get my South Pole dream back on track. I was jumping around with excitement when I heard that they would insure me. My South Pole adventure would not be possible without them. Now all I need to do to get them to help me with my next dream of travelling into space! At COTA, we believe you’re never too old to travel. We have no age limit for single trip travel policies and as a not-for-profit insurance agency, all of our profits go back to the community. To get a quote on your next trip, call us on 1300 1300 50 or fill out our online form for an instant quote.